The weather is really starting to get chilly, especially in Ohio!, omg we had a little snow this Saturday! I know- the leaves haven’t turned brown yet and we see snow? I am so not ready for this y’all!! 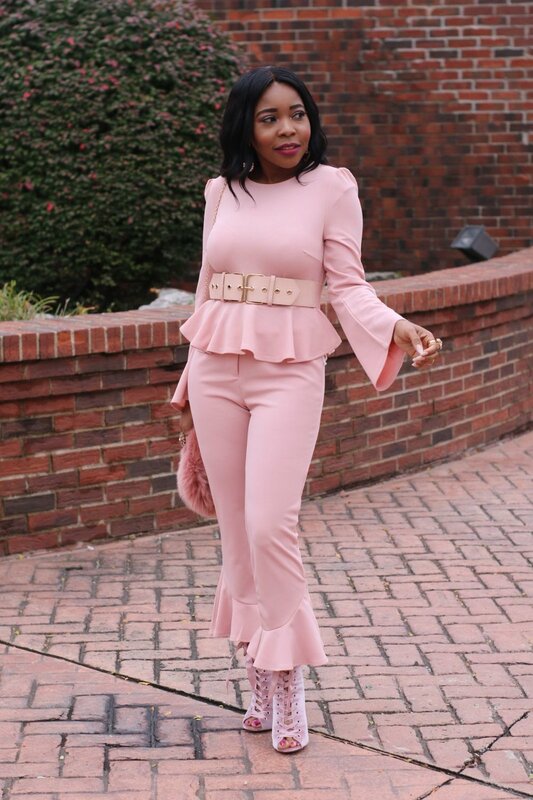 So this monochrome blush look was created from a 2 piece set that was sent to me from SHEIN I love the peplum top, bell like sleeves and bottoms. 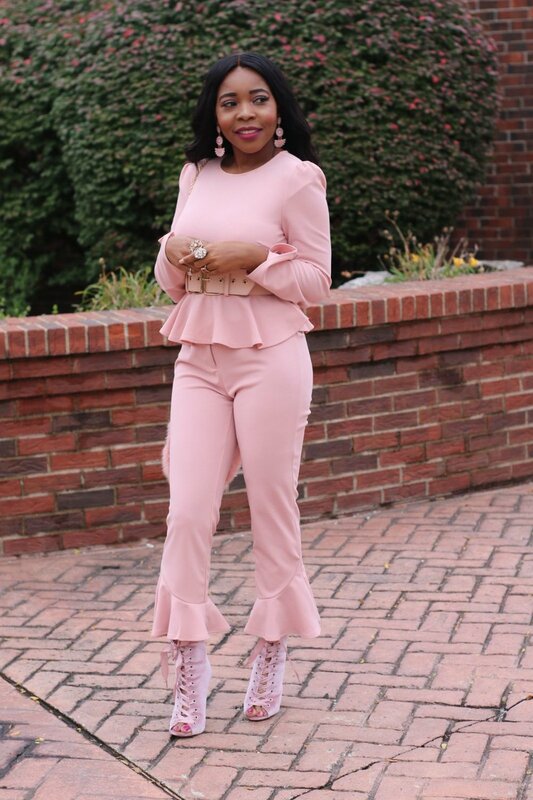 I styled this set in two ways but you can do multiple. 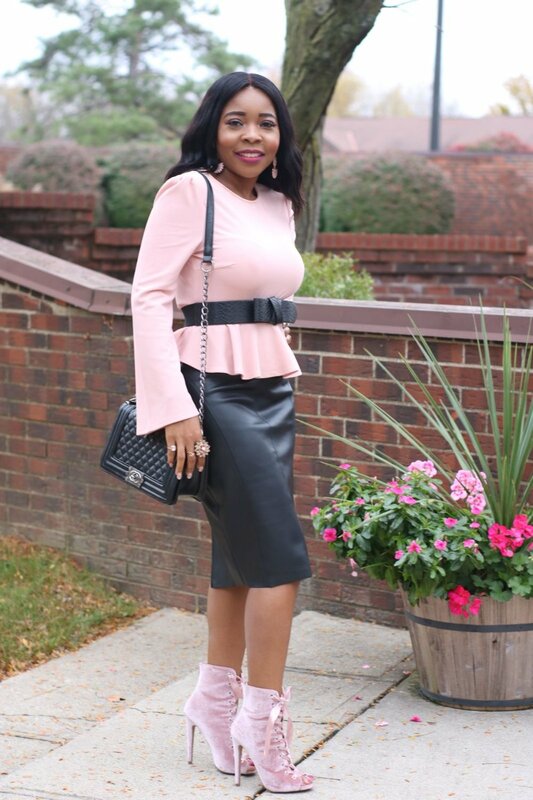 so I did all blush with everything from bottom to toe, and then I used the same top to create a lesser blush outfit with a leather skirt, black belt and black bag. 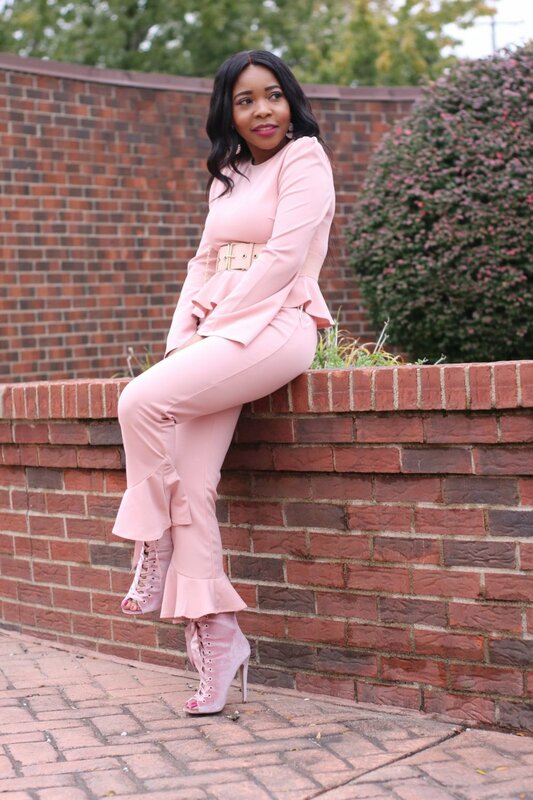 These looks are perfect for any occasion, wedding guest in fall, church, bridal/baby showers ,casual at work or date night. Well I hope you enjoy these looks!